Mains Connect Toilets are ideal for construction and engineering sites. The portable mains connect toilets are connected to a power supply which allows for hot running water, sink for washing of hands. Also fully flushing facilities with the toilet cistern. 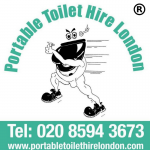 Please contact our dedicated team at Portable Toilet Hire London to discuss the requirements for your toilets. The toilets are delivered to your location in London, Essex and the surrounding areas.